Butane/Propane Gas Burners: ready for connection to butane or propane domestic bottles. Special connections for every country (UK, USA, France, Australia, etc.) are available. Natural Gas Burner: with special connection for Natural Gas installations. 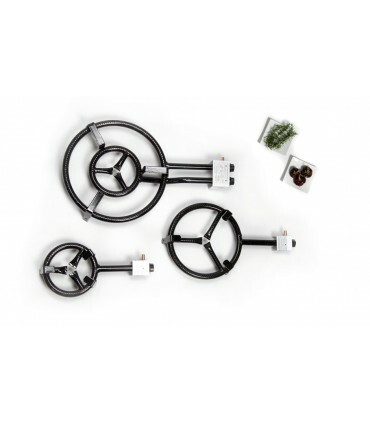 Our range of gas burners or plain tube paellas burners satisfy the most demanding kitchens due to its high power and balanced quality / price ratio. Burners of plain tube or high power + GAS are more than 20% powerful than traditional paella burners and unlike professional burners these do not have thermocouple valves, so its use is limited to outdoor. Do you want power at the best price? 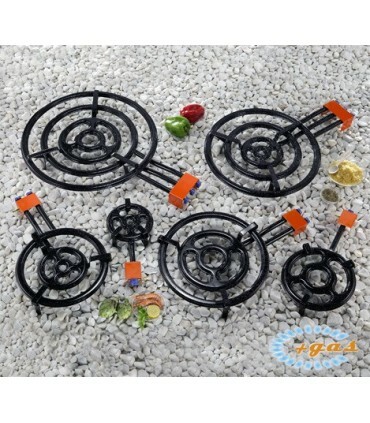 This is the ideal paella burner for your paella. Approved for outdoor and INDOOR use, all our paella burners are CE Certified and are made in Valencia, Spain. 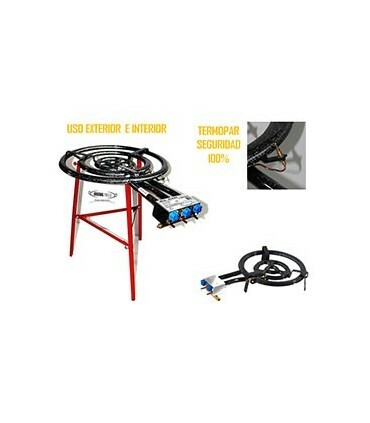 High quality and sturdy, ready for connection to butane or propane domestic bottles and with special connection for Natural Gas installations.